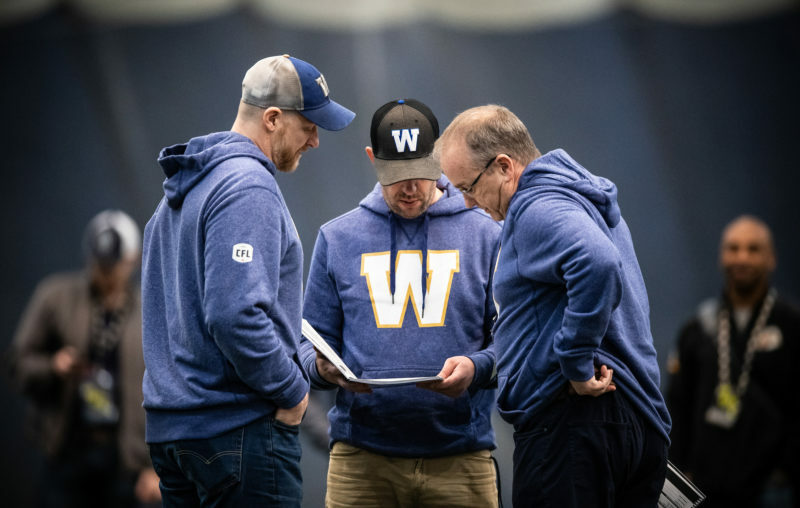 The fuzzy, muddied picture that is the Winnipeg Blue Bombers 2019 Canadian Football League draft rankings will come more in focus this weekend. 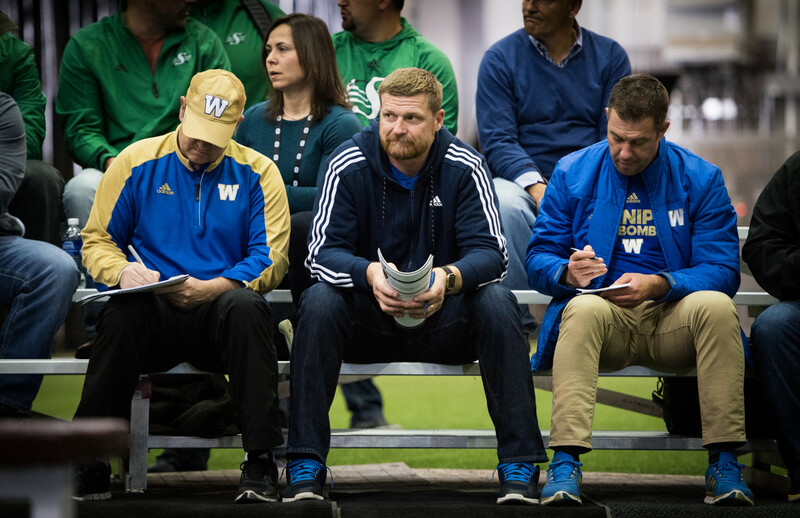 Bombers GM Kyle Walters, Head Coach Mike O’Shea and Assistant GM/Director of Player Personnel Ted Goveia arrived in Toronto on Wednesday for CFL meetings as well as Thursday’s Ontario Regional Combine and the National Combine on the weekend. Bluebombers.com sat down with Walters earlier this week before he headed east to touch on a number of combine/draft related subjects. Bluebombers.com: Maybe we could begin by rewinding to last week’s regional combines. How did the Western and Eastern combines in Edmonton and Montreal affect your draft rankings, if at all? Walters: The guys who are already in our system we’ve graded, so you go back and re-grade them after the combine based on what you saw in person by raising or lowering it. Then you want to make sure the guys you maybe hadn’t graded get into your system. There’s a couple, like (Tariq) LaChance from Manitoba and Winnipeg here. He hadn’t played since 2016… he showed up and looked really good (earning an invite to the National Combine, along with fellow Bison, receiver Shai Ross). We will go back and dig up film of him from 2016 and put him in our system. That’s what the regional combines are about, to find out who maybe isn’t on our radar and then get them into the mix. 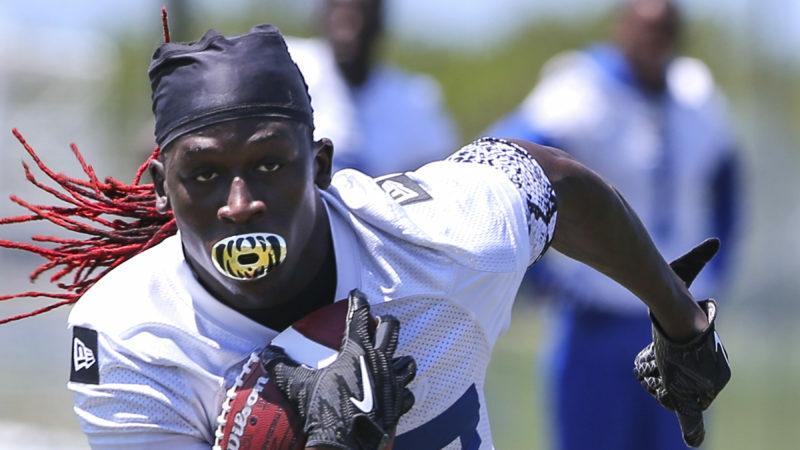 And for the guys who were on our radar, did they go up or down in our rankings. Shai Ross was in our system already. We liked him and liked him all year. He went out and certainly helped himself with the way he tested. In the Eastern Combine, Jay Dearborn went crazy with the testing. We had seen him before – he was from Holland College, a tiny school out east – and showed up a couple years ago with the same testing numbers before going to Carleton. 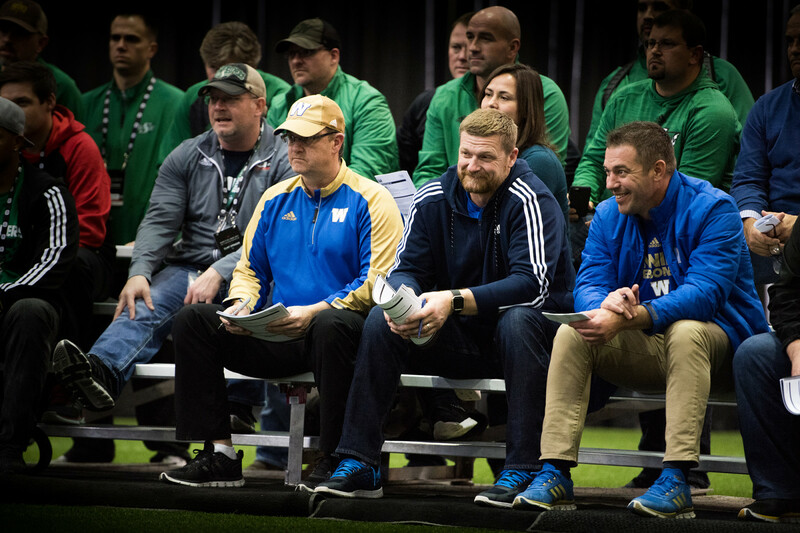 Bluebombers.com: There are three basic components to the National Combine: the testing, the individual interviews teams do with players, and then the on-field 1-on-1s. But how much weight do you really put on the 1-on-1s, given all the game film you have on players? Walters: It’s tough. An example is the defensive backs. The reality is with the Canadian defensive backs we don’t expect them to play corner, halfback or nickel. Most of the Canadian kids, certainly for us, are not expected to line up and cover slotbacks. They’re just not doing that. That’s not their job description. So, it’s more of how they look athletically. That makes the DBs the hardest to grade, in my opinion, because you’re watching them line up at all these positions when you want to know if they can play free safety. Then you get to the O-line group… they’re playing tackle (in 1-on-1s) when they’ve been at guard in school. You have to be careful not to hold the 1-on-1 against kids because they’re doing things they’ve haven’t done a lot of before at different positions. It’s the same with the linebackers. It’s difficult, because a lot of the linebackers you want to see transition to special teams with us, so they need to show some toughness and physicality and still be able to run. Same with the tailbacks… a lot of them are going to be used on special teams and be asked to line up on punt and kickoff return. That’s the difficult thing in all this. You’re trying to look at these guys in drills and position-specific stuff but for each of our teams, it’s where are you going to put your Canadians and what is their role going to be. Bluebombers.com: In general terms, what are you, Mike and Ted looking for at these things? Walters: It’s good for us to have the three different points of view at this. Ted is there for the scout’s mindset. A lot of what Ted studies is height, weight, speed and testing. Mike is very big on the interview process. He’s very much interested in weighing out how much a kid cares about the game. We’ve talked about this before: we want to find out in the interview if the kid has a passion for the game. Are they good guys? Are they going to fit in? But then there’s the compete level you see in the 1-on-1s. They show a compete level, but also the willingness of a guy to jump in there. We’ve talked about this before: who is taking every rep? Who is butting into line to get extra reps? We’ve use Brandon Alexander as an example in the past of this, when he was up here for mini camp and the thing that stood out about him was watching him in the special teams drills. They’re just generic, run-down-the-field, effort drills and he was taking every rep. He was butting in front of guys and going into this line and then that line. That was noticed and that remains one of his strengths to this day and revealed a lot about his character. We all have things that we’re looking at or that jump out at us. 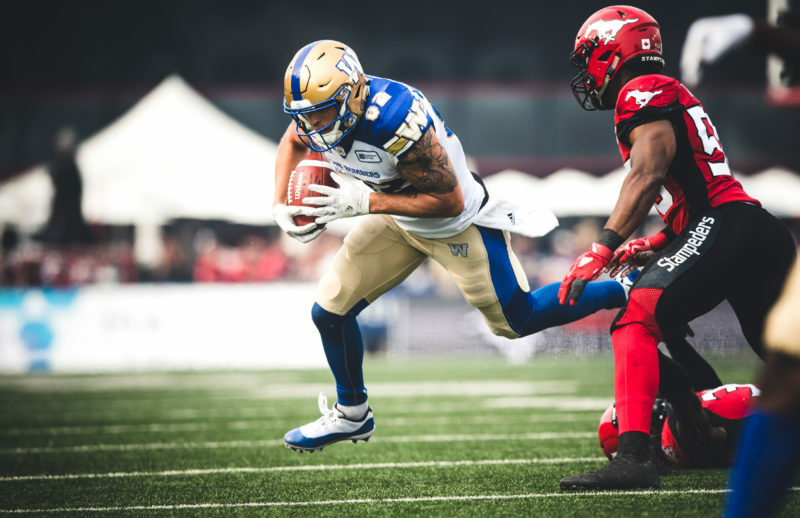 Bluebombers.com: Fans and media are always intrigued by what might take place in the interviews teams do with certain players. Last year in Winnipeg the Ottawa REDBLACKS had a little fun by bringing in a box of doughnuts and asked players what type best represented who they are before they got to the serious stuff. Do you guys have anything goofy like that planned? What’s your approach? Walters: No, we’re straightforward. We’re pretty simple guys with this. We get them in there and we want to figure out a way in the interviews to pull out their passion for the game. There are generic questions about their academic eligibility, whether they can go back to school. And then we just want to talk football with them. 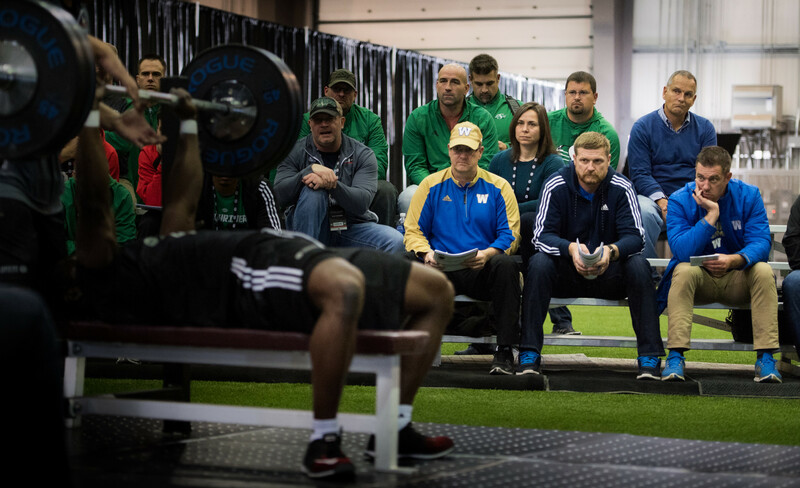 Bluebombers.com: The National Combine is changing, what with so many Canadian prospects choosing now to bypass to attend their school’s Pro Days – many of them attended by NFL types. How does that impact putting together your draft list? 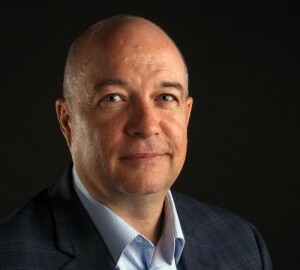 Walters: That’s one of the biggest challenges now for the CFL – the lack of top-rated players that aren’t going to be there. That is a frustration and a challenge. Obviously, I want to see running backs like Jamel Lyles (Manitoba) vs. Brady Oliveira (North Dakota) vs Maleek Irons (Ohio) in the same room competing against each other. We’re not going to be able to do that as only Jamel will be at the Combine. We’re going to see one there and then a couple others at pro days. It is what it is, it’s just a challenge. I don’t recall a year having this much of our top-level guys not being at the combine. We’ll attend some of the pro days for guys and we’ll also determine whether we want to fly guys in to Winnipeg. With our two picks in the Top 5 I sure as hell think that whoever is on our radar for four and five we want to talk to and see in person. But every team is in the same situation – for the Top 10 guys on your list you’ve got to figure out a way to get to them, whether it’s at your building or at their pro days. That’s just the way it is nowadays. Bluebombers.com: There’s a different twist this year with the 18 ‘Global’ players in attendance; players from Italy, France, Denmark, Germany and Finland. How do you do your homework on those players? And with the negotiations currently underway on a new collective bargaining agreement, how do you plan on possibly needing to draft some of those players and add them to your roster? Walters: Poor Colin (Thurston), our film guy. He’s up at night trying to Google translate things and find video on these guys. I would imagine it’s going to be similar to the Mexican player draft, but we’re not certain. We’re sort of playing this by ear. It was challenging in Mexico because we went to a combine and then we’re drafting guys the next day. We took it very seriously. We were up late trying to find film, reviewing our notes… it was a challenging process to see players and then draft them 12 hours later. All we can do is just be ready. Do the process and grab the best football players and then see where they fit in once you have them. Bluebombers.com: Another CBA-related question: do the recent rumours of the number of Canadian starters potentially dropping from seven to five affect how you plan for the draft? Walters: No. It’s the same with the salary cap stuff. Everything is speculation right now. The powers that be are sitting down going over all this stuff. We’re kept in the loop on stuff, but there’s nothing imminent. From what I understand, the negotiations are really just getting underway and they’re negotiations and so there’s a lot of back and forth, give and take. It would be foolish to plan based on assumptions. You just plan on the current reality, or the same as last year. There are conversations everybody is having, like if the number of Canadian starters goes down, how does that affect us? If it doesn’t, how does that affect us? 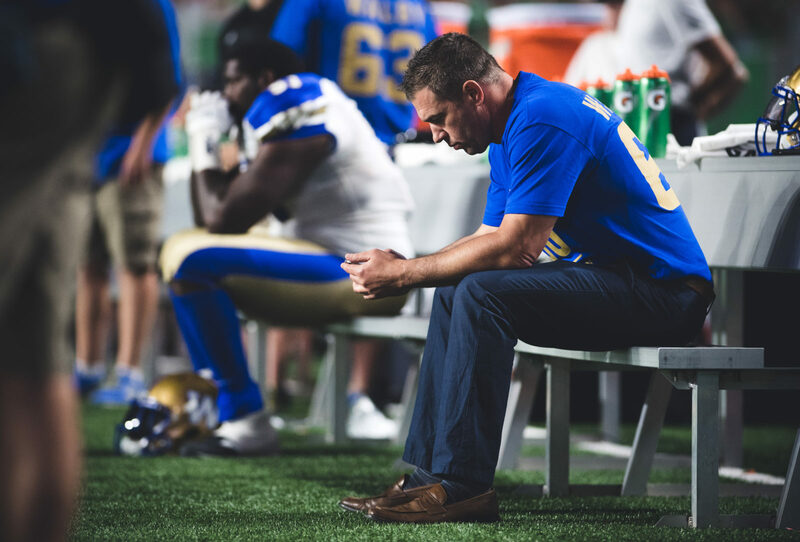 Bluebombers.com: Can you address the some speculation that the re-signing of Drake Nevis last weekend was related to this, the possible decrease in the number of Canadian starters? Walters: No. Strictly a coincidence. We’ve been talking with Drake for quite a while. Ultimately, and we said this to him after the season, he’s a good football player. Depending on our ratio we’re not exactly sure what we’re going to do. That’s why, at the time, our numbers weren’t necessarily going to work for us. But he’s just too good a football player not to bring in and we’ll figure it out how to make it work. Bluebombers.com: We asked you earlier if the Regional Combines might affect your overall draft list. How much does this weekend’s proceedings alter it, too? Walters: It’s all a piece of the puzzle. The game film vs. what you see in person. A lot of my notes are these guys have a chance based on what you see on film. Now, let’s see their height, weight, speed and how they look. The best case scenario is the kids you like on film, their height, weight and speed matches up with our draft grade. Unfortunately, a lot of our draft grades go down after you see a guy in person. The flip side is sometimes you see a guy on film and you’re thinking, ‘Meh, he doesn’t seem to be doing much’ and then you see him in person and you go ‘Holy mackerel… just on height, weight and speed this guy has a shot to make the CFL’ so let’s dig a little deeper as to why he wasn’t productive on film. Maybe it was the system, maybe he was hurt. After this we’ll come back and get the coaches more involved. We’ll present them with our Top 5 at each position and then ask them to rank them. All part of the process. Bluebombers.com: Finally, I can hear it in your voice… you still get geeked up for the Combine and the draft process, don’t you? Walters: This is the best part for me. From my end of things, you really start watching (college) games in September, watching players and taking notes. And then it’s three months of watching film and then Ted, myself and Mike spend days in here watching all the cut-ups of players’ film to come up with a rating. That’s fun. But then to get the see the players in this.